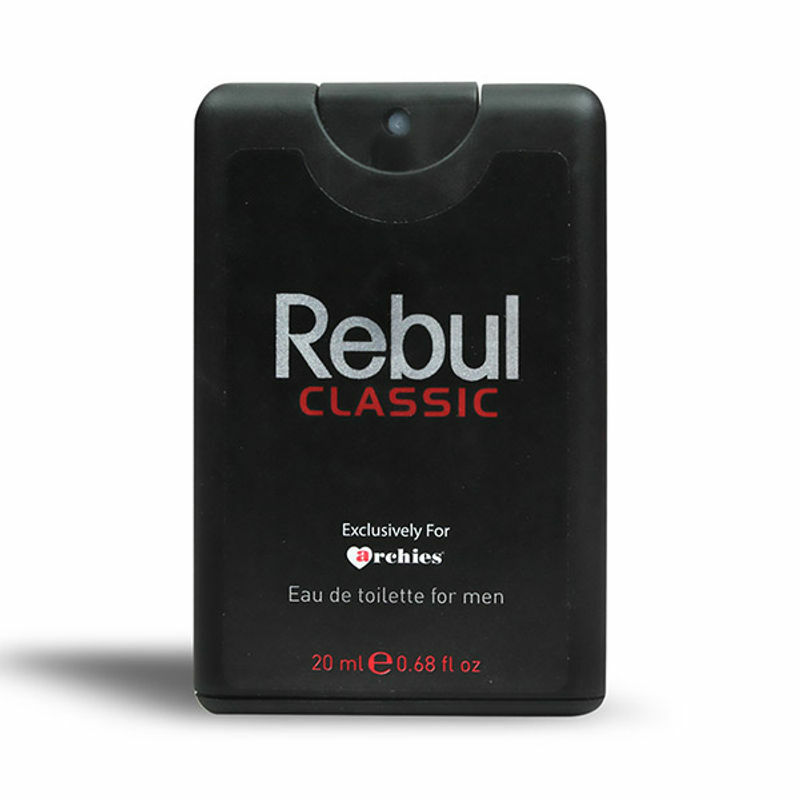 Now surprise your beloved with the perfect present of Rebul Classic Mens Fragrance Gift Set, which is infused with the top notes of Bergamot, Grapefruit, green notes of Cool Mint, Sweet Basil, Artemisia and Lavender. This Rebul Classic Mens is enriched with the middle notes of fruity Pineapple, Attar, Carnation, Thyme, Jasmine the Sea notes with the goodness of the base notes of Cedar wood, Patchouli, Sandalwood, Oak moss and the leather notes of Amber, Musk and Fig. Rebul contains the richness of natural ingredients, which also prove to be healthy for your sensitive skin. These mystical aromas drive away the foul body odor and refreshes you. The Rebul collection comes with various aromas which would keep you fresh and vibrant all day. Additional Information: Rebul introduces a wide range of scents, which give you a lasting fragrance replenishing you with the sense of purification and liveliness. Rebul Classic Mens Pocket Perfume offers a sensuous experience giving you a powerful confidence. Explore the entire range of Perfumes (EDT & EDP) available on Nykaa. Shop more Rebul by Archies products here.You can browse through the complete world of Rebul by Archies Perfumes (EDT & EDP) .